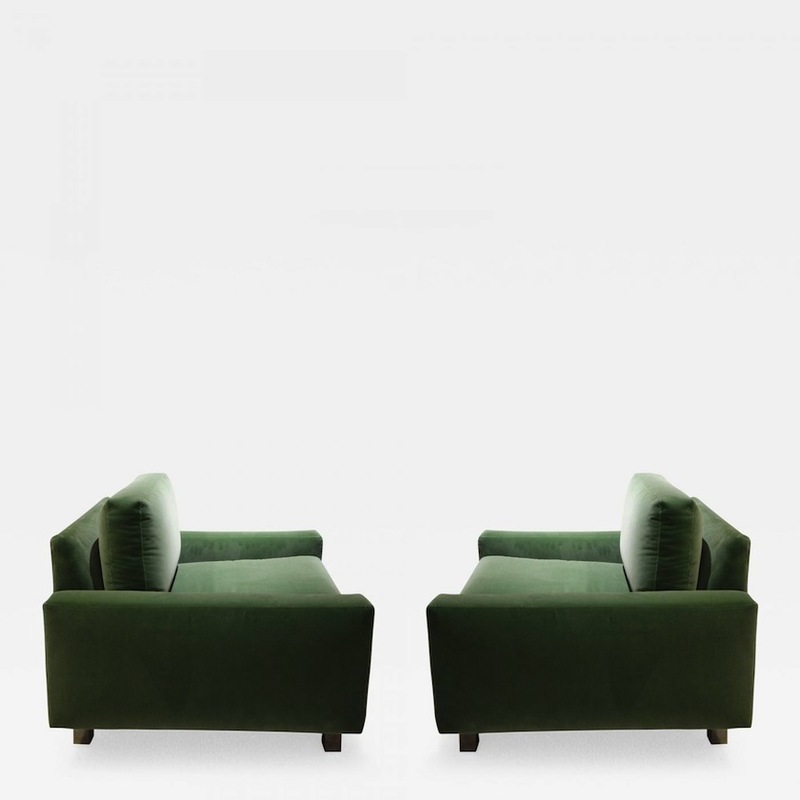 Pair of tailored sage velvet club chairs by Harvey Probber. Extremely comfortable with four square chrome legs. Completely and expertly restored.